“People ran out of their huts trying to escape. But there was no way to escape, the water was everywhere. I saw my people climbing trees to escape the floods. I saw mothers stringing mosquito nets up in the branches to hold their children and keep them safe from the stream of water,” Thomas tells me. Thomas is the local chief of Chibome, a little village on the bank of the Buzi river in Chibabava district. It took us nearly eight hours to drive from Beira City to Chibabava in Sofala province, central Mozambique. When we decided to visit this remote area, we knew it had been affected by both the cyclone and the flooding, and had not been reached by humanitarian relief efforts. What I did not anticipate was the extent of suffering people in these communities have endured over the past weeks. Chiboma is one of many villages built on the bank of the Buzi River that were severely affected by the flooding caused by Cyclone Idai on March 14, 2019. Houses, traditionally made of mud and straw, were washed away. The rising water startled people awake from their sleep, and carried away or destroyed their possessions, crops and animals. According to local authorities, hundreds of people in the area are affected. “They are now staying in schools after their homes were washed away by the water. We want to help them, but we are experiencing serious access problems,” a government official tells us. “Ever since the floods came two weeks ago, those schools have remained inaccessible. The condition of the road makes it impossible for vehicles to find a way through. If the weather stays stable in the coming days, we hope the soil will dry and allow us to reach the schools,” he continued. Because of these logistical challenges, very few services have been provided, apart from the distribution of some food, for which displaced people had to walk long distances to collect and take back to the schools. 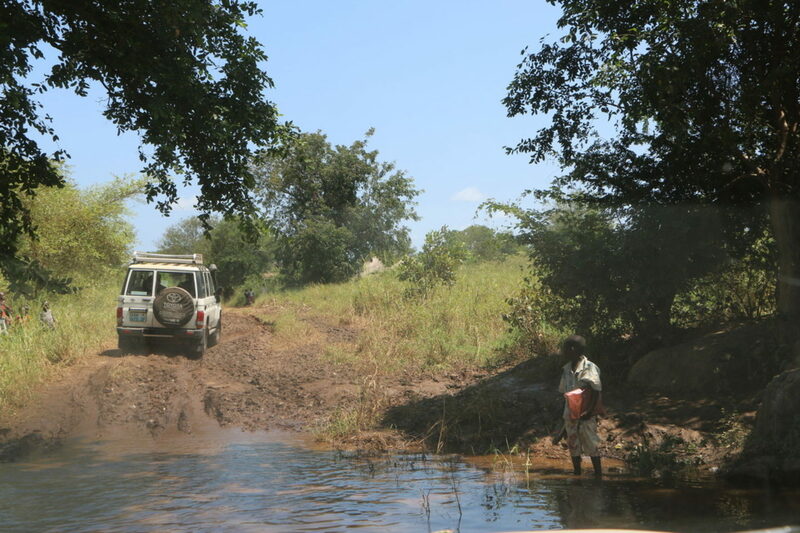 Medair decided to test our vehicles, hoping we could get through even though the local authorities had been unable to do so. Unfortunately the track leading there is still too wet to drive on. Another school on the western bank of the river, normally only accessible by boat, is still not reachable almost two weeks after the disaster. The boats that used to connect the two banks of the river were washed away in the flood and only small wooden canoes, inappropriate for crossing a river infested with crocodiles, are still available. People want to go back to their home sites near the river, but many of those area are still submerged. While we talk with Thomas, several women and men come down the small off-road path and sit in silence close to us, staring curiously and listening to our conversation. When we ask the village leader what are the most pressing needs of his community right now, one of these women joins the conversation. “Mosquito nets. We lost our mosquito nets and are having a hard time sleeping. And blankets . . . to cover ourselves at night. And pots and pans for cooking,” Rosa Manuel tells us. Rosa was born in Chiboma. Before the cyclone, she lived alone with her nine children, as her husband had passed away years ago. She is a farmer, growing corn and peanuts. People from Chiboma are beginning to rebuild but recovery will be very difficult. 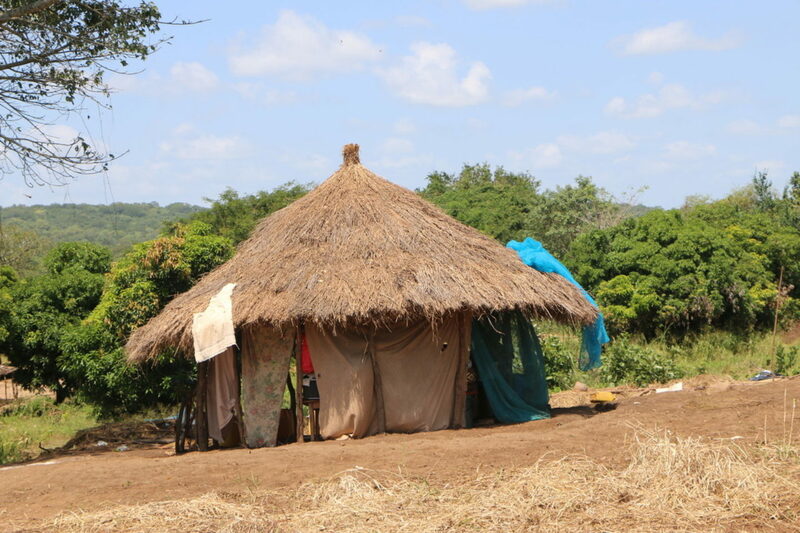 “My hut was severely damaged. The roof is still standing, but we have no walls anymore. If it rains again, water will come in,” Rosa tells me. When I ask what her biggest fear for the future is, she looks down and answers softly after a long pause, “My biggest fear is to not be able to feed my children in the coming months.” All her crops are gone, as are many of her animals and possessions. For this community, floods are not unusual. “But we have never experienced this intensity. I am scared now. Rumors are spreading within the community; people say another disaster will come soon. I don’t know it this is true. I just want to be prepared in case this happens again,” Rosa tells me. More than 160 families were affected in Chiboma alone. “This is the first time a team from international organizations has come here to visit our people,” says Thomas. As the recovery phase intensifies in Beira and other towns, we must take care not to forget areas that remain inaccessible where people have received little to no help. Medair deployed an Emergency Response Team to Beira to respond to Cyclone Idai and related floods. The team arrived in Beira on Sunday, March 24th, and is actively coordinating with other agencies and assessing needs on the ground. 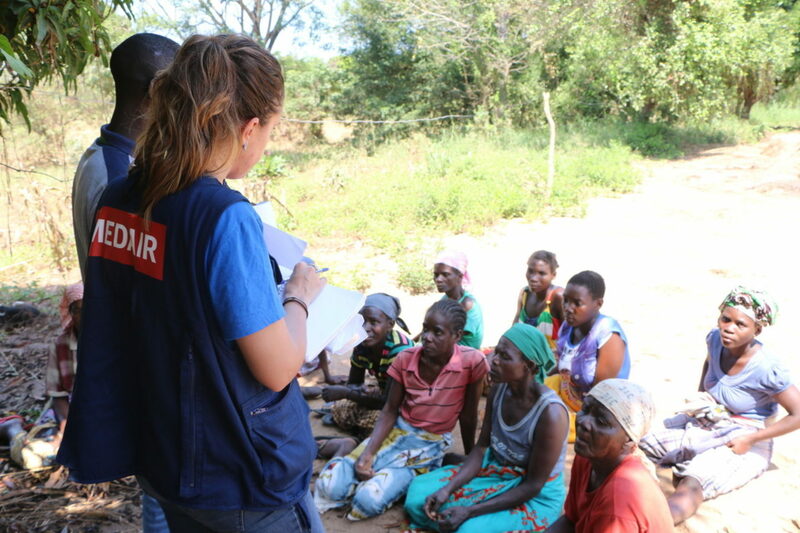 In Mozambique, Medair work is in partnership with Food for the Hungry, a development agency that has run a food security and health response in the country since 1987. The two agencies are collaborating to set up a comprehensive response, each focusing on its main sector of intervention in order to address the most urgent food security, health services, and shelter needs in Sofala province. In the coming weeks, Medair plans to distribute emergency shelter kits and hygiene kits to assist people in the most affected and remote areas. The shelter kits will provide people with a temporary roof over their heads, while hygiene items and water purification systems will improve hygiene conditions of people who lost everything during the disaster. This first phase of the response will target about 2,000 households over a three-month emergency response phase.